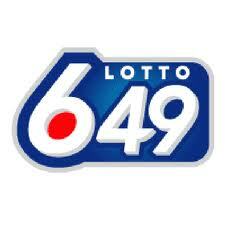 The sad news is in: no winning ticket for the Lotto Max. So, this means things are rolled over to next week with a jackpot of $15 million. However, there is still a ray of hope as tonight’s Lotto 6/49 is still up for grabs. That’s three point five mill; not too shabby. And remember, it’s only two measly bucks to buy into the dream. By the way, I have never won anything more than twenty bucks. My rationalization for buying tickets is that I must be getting close to my lucky win. Ha! Or maybe I building up to getting hit by lightning! – For those of you not getting the reference, I keep mentioning in these pages that statistically I have more of chance of getting hit by lightning than winning the lottery. Crazy I know but what’s even crazier is me still buying lottery tickets knowing that. So, for the rest of your weekend, how about catching up on a little reading? Monday is Election Day. You are going to vote, right? Check out the article "Canadian Election 2011: Dream of Conservative majority slowly fades away" by Steve Val. I, like Mr. Val, see another minority government and I’m sure that Mr. Harper is going to be none too happy about it. Did everybody catch the Royal Wedding? Inder of Oye! Times did a good job of setting up some live streaming of the event. Oddly enough, I just looked and link #2 from PBS is still showing recorded coverage. For something amusing, check out "OK Go: This Too Shall Pass (Rube Goldberg machine)". For those not in the know, a Rube Goldberg machine is a funny device which does in a complex fashion what could be done in a simply. It’s all a joke based on the cartoons of a Rube Goldberg (1883-1970). I’m not familiar with the musical group OK Go but I see they are noted for their unusual videos. This one was certainly a lot of fun. The Ivory Coast: return to normal?